Jiu-jitsu.News: “A sound mind in a sound body” Successful future of our children! “A sound mind in a sound body” Successful future of our children! If you still have no idea which sport section will be the best one for your child, take a closer look at the Brazilian Jiu-Jitsu classes! It’s a well-known fact Jiu-Jitsu is a great physical activity, which harmoniously develops child’s physical and mental condition. Child who is engaged in Brazilian Jiu-Jitsu will be a leader who can easily stands up for himself and his friends. Going in for Jiu-Jitsu classes both girls and boys from an early age will lead a healthy lifestyle, develop and maintain their physical form. Moreover, kids will also learn how to respect themselves and one another; they will find new friends and maybe in future, will be able to win numerous gold medals at the prestigious championships! BJJ is a very popular sport in Ukraine. A lot of European and world champions have been training in local sport clubs. Ukrainian children are also actively involved in this sport. It is worth noting BJJ is one of the most harmless martial arts for children and teenagers. BJJ coaches explain how to defeat a strong opponent, even if you are weaker and physically smaller than he is. "Children are our future. And it depends on us, adults, how this future will be", - Ievgen Skyrda, SC "Borets" coach says. 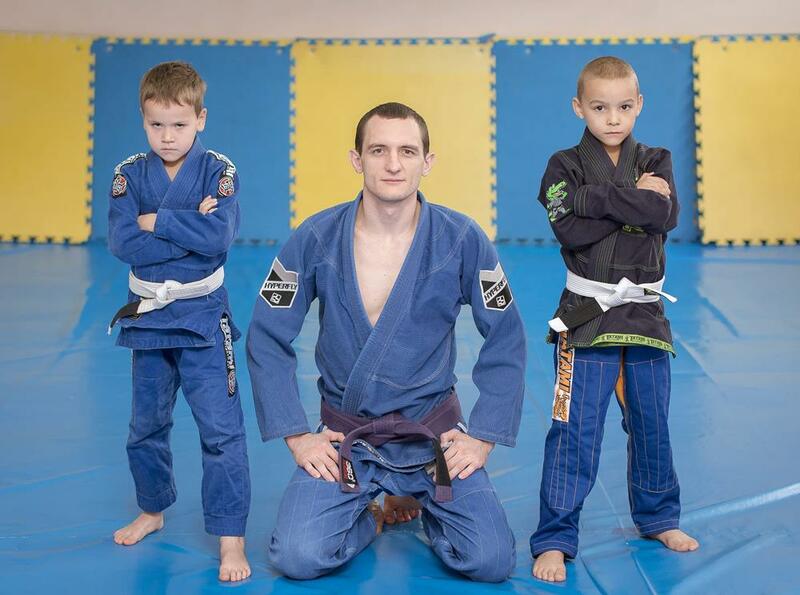 Recently the SC "Borets" has started formation of the BJJ group for 4-years-old children. The head coach says there are many parents who bring their children to the BJJ clubs as well as kids visit the BJJ classes with a great interest. "Brazilian Jiu-Jitsu will give your child not only excellent physical development, but will temper his character and educate a kind of self-discipline and self-confidence. He will learn how to make quick decisions in any critical situation. If our children will live according to the saying ”A sound mind in a sound body” they will have a successful future!" – Ievgen Skyrda said. It must be noted, recently sportsmen of the SC «Borets» / ZR Team, Serhii Krasovskyi and Serhii Rusnak, became the world champions 2017 among the Juveniles at the Jiu-Jitsu Championship in Abu Dhabi! At the championship each of 14-year-old fighters had four fights and won all of them confidently. Previously a run of success was opened by a 7-year-old Nikita Petushinskyi. He is also a part of the SC “Borets”. He became the world champion in his age group at the Abu Dhabi World Professional Jiu-Jitsu Championship 2017.